Here is a post that I started a long time ago but never posted. In February, both my Principal and Vice-Principal left the school, to retire and to move to another school, respectively. 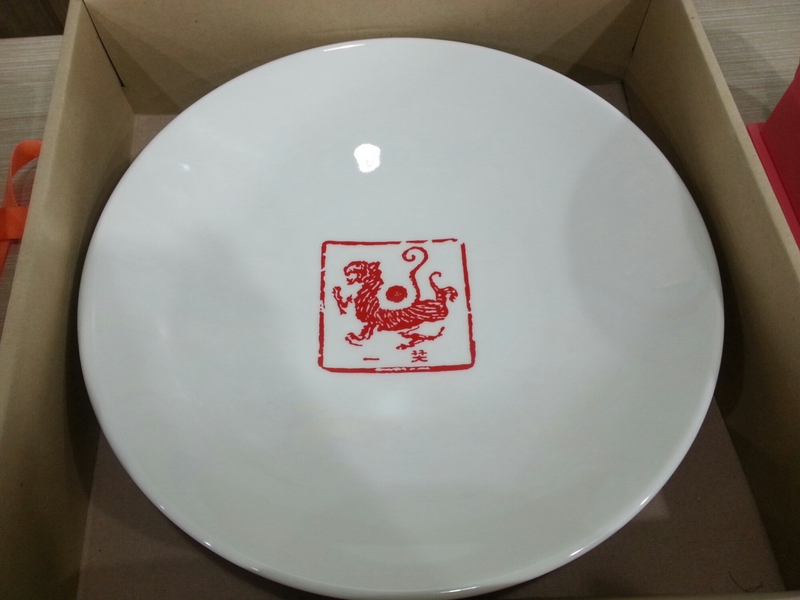 My vice-principal was a calligraphy enthusiast, and before he left, he came to the English Centre to give me this gift: a handmade plate. 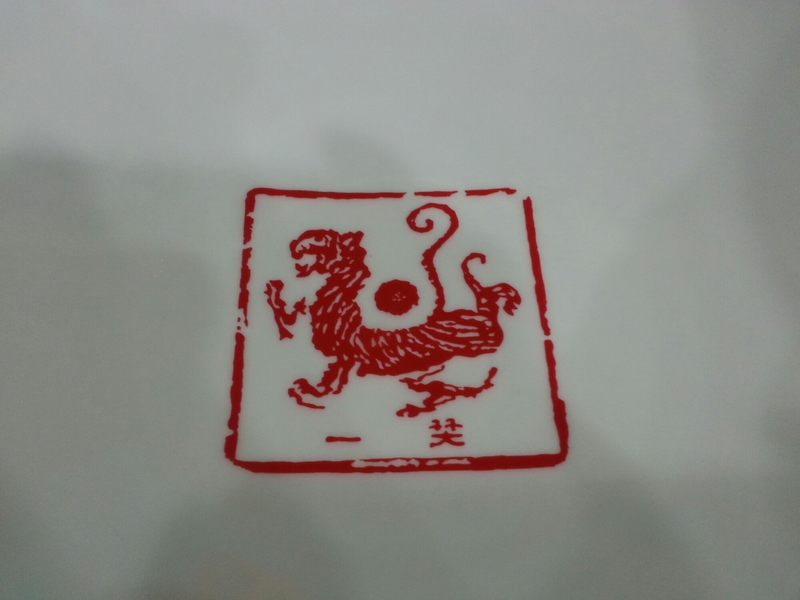 The tiger design was handcarved into a stamp by my VP, then applied to the plate and glazed. I don’t quite remember the meaning to the inscription on the back, but if memory serves, the metaphorical meaning was that I would have no troubles, because my smiles chase them away. I guess my regular visits to their office, and occasional small gifts, made a lasting impression. What Jo-Ann said too ! You’ve made positive impressions unknowingly to so many people in so many ways. This is one of those positive feedbacks that you’ve been graced with and will return good memories of a shared moment.